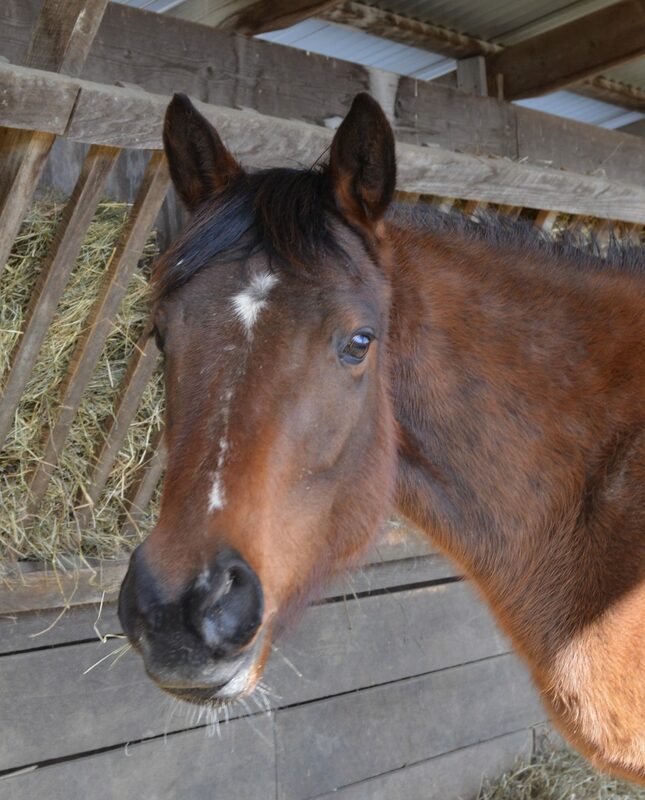 A very sweet, shy young mare. When she was just 3 years old, she sustained a career ending injury. Fortunately, she had some good people looking out for her so she landed safely at TRF.